“Since Quink's début in 1978, this remarkable Dutch vocal ensemble has risen to the top of its field and is invited to perform on prestigious concert series around the world. These five professional singers have developed a unique sound which allows them to illustrate with style and expressiveness the great variety of a cappella music. 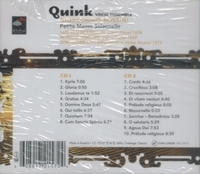 Quink's repertoire varies widely and consists of a cappella music from the Renaissance and Baroque eras, as well as works by Romantic composers. The ensemble often performs folk song and close harmony arrangements and it concludes its performances with lighter arrangements. Quink has introduced many new works both of established and modern masters. 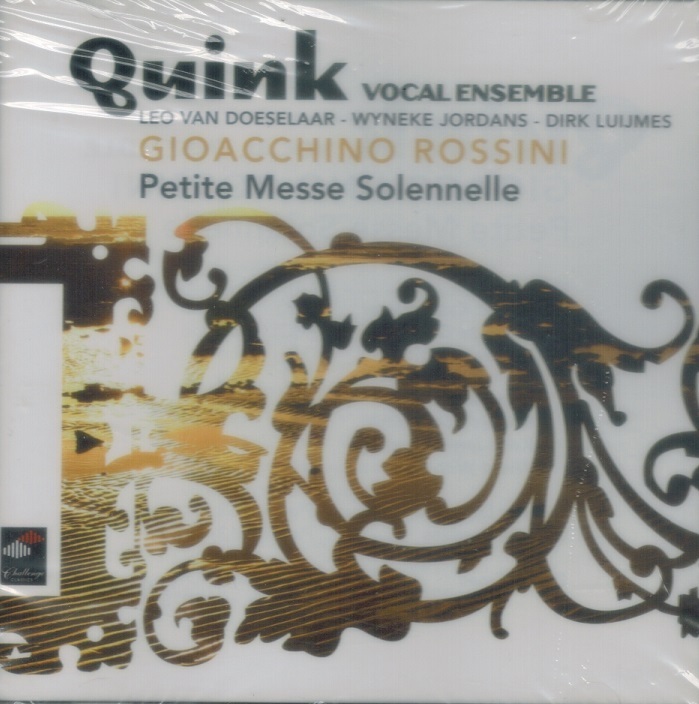 A number of contemporary Dutch, German and American compositions have been dedicated to Quink. In 1983 Quink received its first international recognition when the group was named finalist in a major European music competition. Since then they have been invited to perform in important concert series at home and abroad. The ensemble is often heard on radio, and is frequently invited to appear on national and international TV. Quink is a welcome guest at music festivals all over the world. Quink's first United States tour in 1985 was so artistically successful that it often tours the U.S. twice a year. Quink made its Italian début tour in 1987. In the spring of 1998, Quink appeared in festivals in Tel Aviv and Singapore.